As they say, it’s all in the details and we have just the design styles and accessories to accentuate your home office or bedroom. From drawer fronts to onlays and a wide array of embellishments, we have the perfect accessories that will add function and complement your room. Your designer brings all of our options with them on the design consultation for you to review. Nothing shines through like your personality, and our goal is to include every bit of that light in the design of your custom wall bed plan. Just as your personality is made up of individual characteristics, we have a wide variety of design elements to make your Murphy bed truly unique. Our designers are not only “space experts”, but they will also introduce you to our collection of accents that will enhance the look and feel of your space. Murphy Bed Lifestyles has an extensive range of organizational and stylish elements that complement your design aesthetic. We can produce your design in any of your favorite styles including Modern, Traditional, French, Asian and more. With the addition of organizational and stylistic elements, moldings, onlays, embellishments, organizational accessories, cabinetry lighting, glass inserts, Lucite and specialty resins, and drawer fronts in decorative styles that all come in many different materials and colors, we’ve got something to suit any taste and enhance any room in your home. Get ideas for your project by taking a look at our sampling. Do you have a flare for the dramatic? If so we have just the style of drawer fronts for you. In a wide array of colors, our selections can also match the décor of any wall bed plan. If you desire something a bit more muted and tonal, or perhaps you’re hoping to enhance modern, contemporary and traditional styles with specialty fonts – we have the solutions for you. Mix and match material finished to create a look for your Murphy bed that truly suits your personal style. It’s the little aspects of your personality that make you truly unique, and similarly our organizational accessories will do the same for your wall bed plan. Small details like handles and knobs can have a big impact on the style of your design. We offer hundreds of handles and knobs to choose from – in a variety of finishes. Pick from our selection or supply your own to add an extra pop to your Murphy bed design. There’s a saying – “the beauty is in the details.” We believe this to be true, and as such, we have plenty of details for you to choose from to truly make your wall bed plan beautifully unique. Whether your style is Modern, traditional or otherwise, Murphy Bed Lifestyles offers a wide selection of design embellishments. We can create a custom Murphy bed style that complements the overall look of your home. By adding options like glass, specialty Lucites, various lighting types, mouldings and more – your wall bed design will reflect your unique needs and style. Murphy Bed Lifestyles has numerous locations in many different geographic regions, and many of our options in each location reflect the design aesthetics of the region. Similarly, our extraordinary palate may vary by location. Regardless, you’re sure to find a color scheme that suits your fancy among the many melamine, laminates, and wood veneers that we offer. If you’re thinking about a stained or painted wood – you’re in luck! We can create color options that are perfect for your needs. All of our stains are water-based, so they are not harmful to the environment. Imagine your Murphy Bed in the exact color and style you want, in your new multipurpose space. 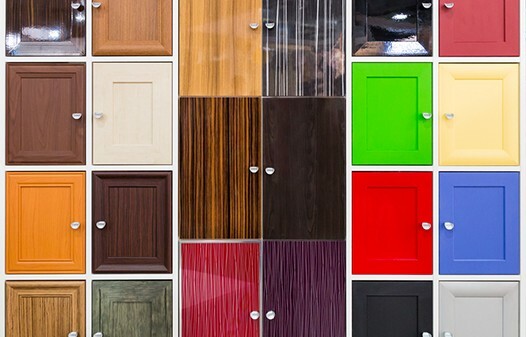 Take a look at some of our samples and schedule your free, in-home design consultation today.